Oliviero Toscani conceived the brand name and logo Pelle Conciata al Vegetale in Toscana (Tuscan Vegetable Tanned Leather) to emphasize the Tuscan origin of leather. This simple logo tells the story of our product: leather, vegetable tanning extracts and the skilful hands of the Tuscan master tanners, repositories of ancient traditions. To create requires both time and skill. Pelle Conciata al Vegetale in Toscana is the logo that guarantees leather made by the book. The Genuine Italian Vegetable-Tanned Leather Consortium regulates, preserves and guarantees the production of vegetable-tanned leather made in Tuscany throughout its quality trademark: Tuscan Vegetable-Tanned Leather. 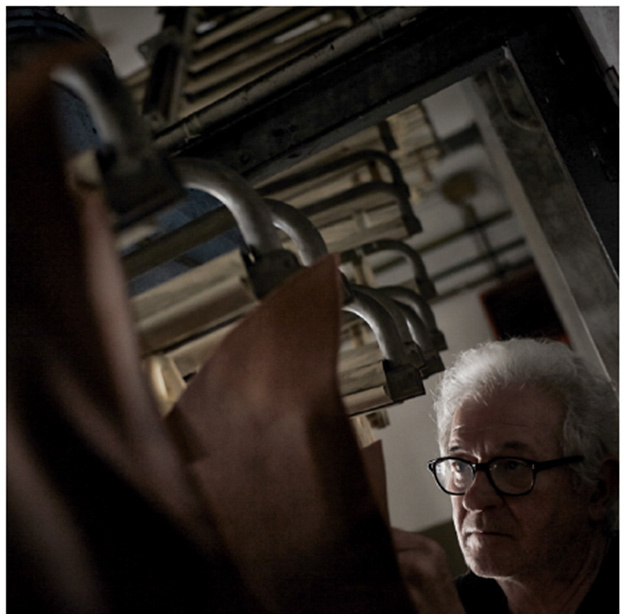 The use of this quality trademark is bound to the observance of the technical Production Regulations that all member tanneries are committed to respect. The document defines “vegetable-tanned leather”, stating that the whole productive process in its qualifying phases must be made in Tuscany, and fixes strict chemical/physical standards for the leather to be marked “Tuscan Vegetable-Tanned Leather”. To identify and guarantee leather complying with this production Technical Sheet, the Consortium created a guarantee label endowed with a product traceability system. The Genuine Italian Vegetable-Tanned Leather Consortium is the exclusive owner of the registered trademark “Pelle Conciata al Vegetale in Toscana”. 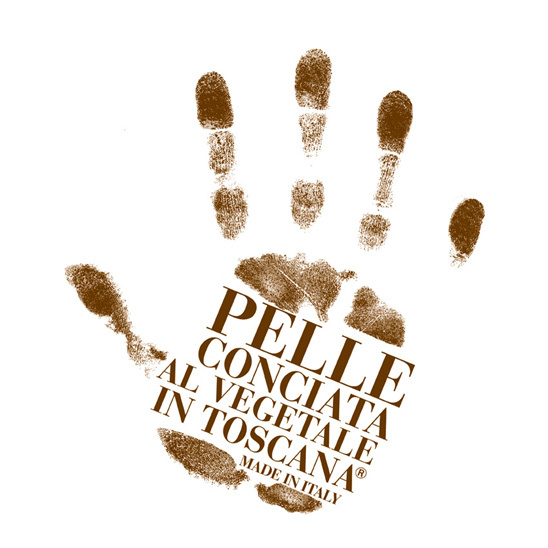 Only the Consortium can allow customers of its member tanneries to use it by signing a contract of license which entitles them to attach the label “Pelle Conciata al Vegetale in Toscana” to their finished product. It is the possibility of choice that makes us profoundly human. To hang tags to finished products the Consortium proposes the guarantee seal, a natural cotton string with an irreversible lock embossed with its logo. Using the guarantee label and seal together strengthens the originality of the Consortium’s guarantee kit and surely distinguishes it from potential counterfeiting attempts. It also makes the product’s presentation more exclusive.